Welcome to my Repio Page. From here, you can access all of the internet information (links) about me and view my comments about the links. Steve Kreis has 155 links managed on Repio. 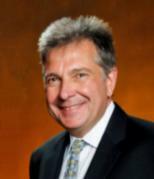 President of Kreis Tool, an AS9100 certified Defense Contractor and Manufacturing Company. The Company Quality System, online. An innovative "wiki" style approach to maintaining an ISO/AS level quality system. Kreis Tool won the prestigious Silver Supplier Excellence award from The Boeing Company. This award recognizes outstanding quality and delivery performance. Welcome to Kreis Tool & Mfg Co., Inc.
Before I was in manufacturing I was a commodity trader, software developer and analyst specializing in Commodity Options. I co-founded The Applied Research Company.